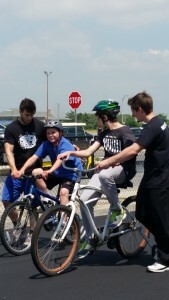 Children supported by CRP program learning to ride and enjoy summer at Bike Camp. The Children’s Residential Program (CRP) is made up of four comfortable homes, one located in Wantagh and three in Lido Beach, and serves 25 children. Children in residence have needs which require the efforts of a caring team of professional and paraprofessional staff, along with their family, to succeed in becoming full participants in their lives and their community. The CRP was created in 2009 to assist with bringing children home to New York who initially needed to move out of state to get their educational and residential needs met. 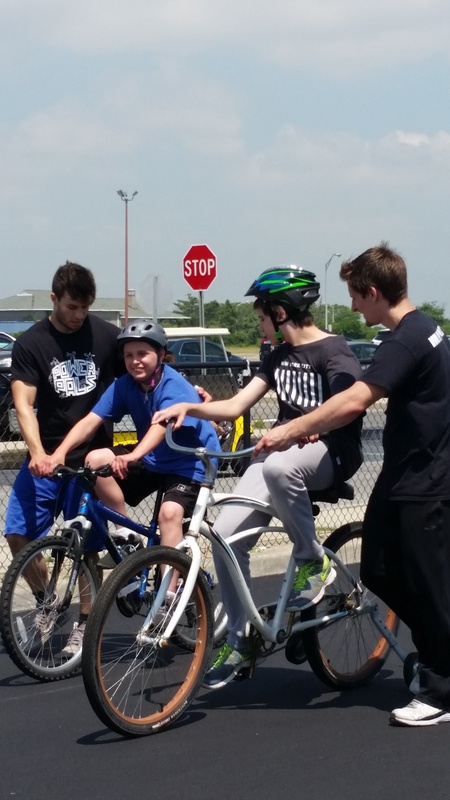 The residential program is based on a collaborative approach with Brookville Center’s educational program. Staff are trained in Picture Exchange Communication System (PECS), augmentative communication devices, sensory integration techniques, Positive Supports behavioral intervention, self care skill training, and other specialized techniques important to those on the Autism Spectrum. Children are immersed in a variety of community and recreational activities with the necessary supports to assist them in developing confidence in their abilities. The CRP respects and preserves the child’s culture, family values, and unique individual personality. The goal of all program efforts is to help the child become a happy, functional adult who feels connected to his community and empowered to make choices in as many areas of his life as possible.